Make yourself at home in one of the 21 guestrooms, featuring kitchens with refrigerators and microwaves. Complimentary wireless Internet access keeps you connected, and flat-screen televisions are provided for your entertainment. Conveniences include coffee/tea makers and irons/ironing boards, and housekeeping is provided on a limited basis. Featured amenities include complimentary newspapers in the lobby, multilingual staff, and luggage storage. RV/bus/truck parking is available onsite. Be sure to enjoy recreational amenities, including a health club, an indoor pool, and bicycles to rent. Additional amenities at this apartment include complimentary wireless Internet access and a reception hall. Make yourself at home in one of the 152 guestrooms, featuring kitchenettes with refrigerators and microwaves. Complimentary wireless Internet access keeps you connected, and flat-screen televisions are provided for your entertainment. Featured amenities include wired Internet access (surcharge), a computer station, and express check-out. Located in Tampere, Hotel Lamminpää is within a 15-minute drive of Teivo Racetrack and Amuri Museum of Worker's Housing. This hotel is 4.4 mi (7.1 km) from Tampere Art Museum and 4.5 mi (7.2 km) from Nasinneula Tower. 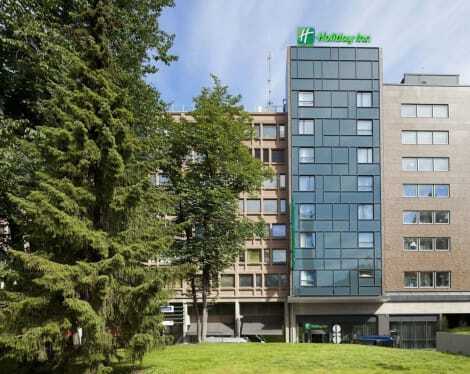 A welcoming central Tampere hotel next to the railway station, with a fitness centre & free Wi-Fi Accessible directly from the platforms, Holiday Inn® Tampere - Central Station hotel is next to Tampere railway station. The hotel is a short walk from Hämeenkatu, the city's main street. A fully equipped boardroom can host meetings for up to 10 people. Business guests are 10 minutes on foot from Tampere Hall congress centre and a 15-minute drive from Tampere Exhibition and Sports Centre. For shoppers, Stockmann department store is just moments away. Thrill seekers who are young, or young at heart, will want to explore Särkänniemi Amusement Park, 25 minutes' walk away, offering rides, an aquarium and a planetarium. Take the lift to the top of the park's Näsinneula Observation Tower to enjoy fabulous panoramic views of the city. At this hotel you can enjoy: - Free Wi-Fi throughout the hotel - A hot breakfast buffet - A 24-hour E-Bar for online access - A fully equipped fitness centre - Secure on-site parking Cosy modern rooms feature pillow menus to help you get a great night's sleep. As well as buffet breakfast, the hotel's Restaurant Martina serves classic Italian dishes such as freshly made pizza and lasagna, for lunch and dinner. After a busy day, wind down with friends over a chilled glass of wine or a cold beer in the lobby bar. 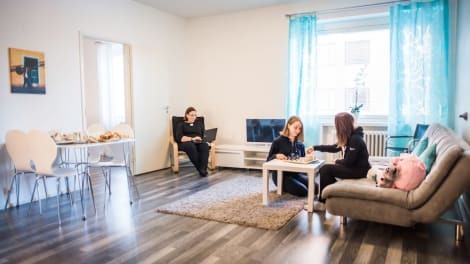 With a stay at Scandic Tampere Koskipuisto, you'll be centrally located in Tampere, just a 4-minute walk from Stockmann and 6 minutes by foot from Koskikeskus. This hotel is 0.3 mi (0.5 km) from Tampere Cathedral and 0.8 mi (1.3 km) from Moomin Museum. Enjoy a meal at the restaurant or snacks in the hotel's coffee shop/café. Wrap up your day with a drink at the bar/lounge. A complimentary buffet breakfast is served daily from 7 AM to 10 AM. 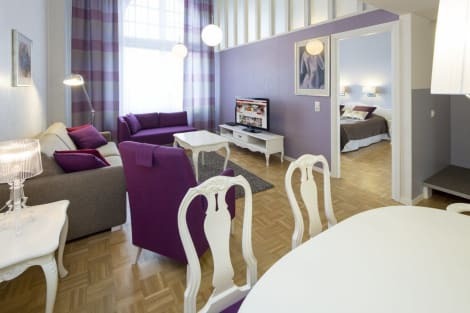 A stay at Scandic Tampere Hämeenpuisto places you in the heart of Tampere, within a 10-minute walk of Lenin Museum and Aleksandterin Kirkko. This 4-star hotel is 0.5 mi (0.8 km) from Heikka Art Museum and 0.7 mi (1.2 km) from Pyynikki Swimming Pool. 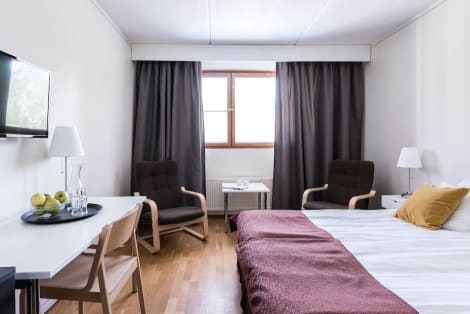 Located in Tampere, Scandic Rosendahl is on a lake, a 5-minute walk from Pyynikki Observation Tower and 14 minutes by foot from Tampere Art Museum. This hotel is 1 mi (1.6 km) from Aleksandterin Kirkko and 1.7 mi (2.8 km) from Nasinneula Tower. lastminute.com has a fantastic range of hotels in Tampere, with everything from cheap hotels to luxurious five star accommodation available. We like to live up to our last minute name so remember you can book any one of our excellent Tampere hotels up until midnight and stay the same night.